Home › Devotionals › Powerful Easter Devotion: While We Were Yet Sinners, Christ Died For Us. We learn four things about the Love of God just from this one verse. When we were unable to save ourselves – the intervening love of God came to our rescue. Divine Intervention in the depravity in nature and sin. But God is concerned for us even when we were unconcerned about Him. Love that does not demonstrates is not really love. One of the deepest needs of our hearts is to be loved by others. Not only do we want to be loved, but we want also for others to make that love known to us. We want to see a demonstration of their love. We want to hear others say something or do something that lets us know they love us. We need for others to be concerned about us, to act in our interest, and to surround us with understanding. An even deeper need is to be loved by God and to see a demonstration of His love. People who believe in God usually will admit that they desire to experience His love. Even when people deny the existence of God, they need His love. They may not admit they have this need, but the need is still there. We must realize that even when others do not love us, God intensely loves us. How is God’s Love demonstrated toward us. God loved us so much that He not only created us, but He created us in His image, and with the purpose of ruling, having dominion, over all the earth. We were created for a purpose, by a loving creator. He created things like colour, music, taste, an ability to touch. This is something to consider. God could have made humanity not to have taste, or not to be able to see colour or not to be able to hear things like music. But we have all these things because God loves us and so His love is demonstrated in the richness of creation and our God give ability to enjoy that richness. He created life so that we would enjoy it. The fact that we are saved and we get to go to Heaven for eternity is a demonstration of God’s love. There is a specific place prepared in heaven for us. I remember when Melanie, my wife was pregnant…we spent a lot of time, money and energy preparing a place for our new little baby. Why? Because we loved the baby and we wanted the nursery to be just perfect. This is similar to God….he is preparing a place for us. We are not friends with God. We are not acquaintances. We are not companions. We are told to address God as our Father. This name describes the characteristics of God and the intimacy of our relationship with Him. Loving, Caring, protector, provider, one that leads & guides us. The term Father is an intimate name that signifies the close relationship we have with God & the love He has for us. Many times in the Gospels, Jesus’ love for humanity was displayed and often it moved Him…..’And Jesus was moved with compassion’. Jesus is saying that when He leaves earth, God will send another (of the same kind) helper. This Helper, the Holy Spirit, will be with us for ever, individually, living on the inside of us. This is more beneficial to have the Holy Spirit on earth than Jesus. Because Jesus as a man could only be in one place at one term, with one group of people, holding one conversation. The Holy Spirit however can be everywhere at once holding a billion different conversations with a billion different people, all at once. Love that is toward us. You need to acknowledge God’s passion for you. What do I mean by that? You need to realize how much God loves you. It all starts with you understanding how amazingly extravagantly God loves is toward you. God’s passionate for you. A lot of people think God is mad at them. God is not mad at you. He’s mad about you. The whole issue of the cross explains that. 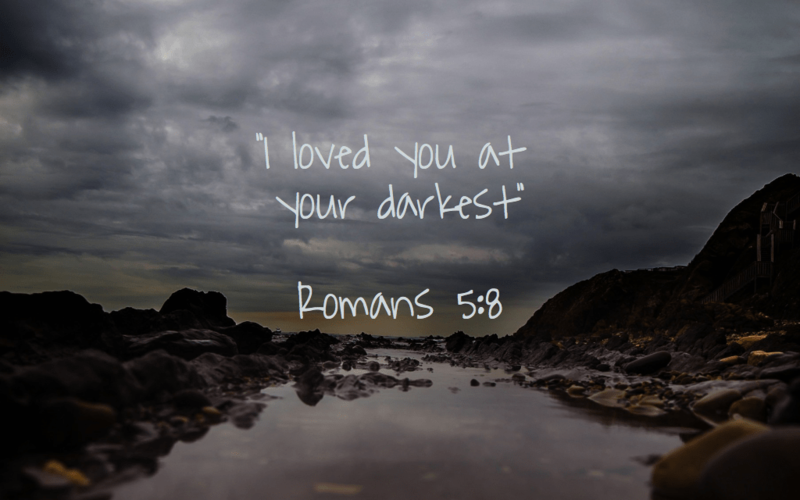 God didn’t just say He loved you. He showed He loved you. He proved He loved you in the most expensive way – by sacrificing His own Son for you. But God’s love for you ia all through the Bible and through Jesus’ example explains that His love is four-dimensional for you. How long is God’s love? Long enough to last forever. That’s what makes it different from human love. Have you noticed human love wears out? God’s love will never stop loving you. It is long enough to last forever. It is wide enough to be everywhere. There is no place that you could go in life that God’s love is not with you. You will not always feel it. In fact, sometimes you’re going to feel alone. But you will never be alone. Because God’s love is everywhere. It’s wide enough to be everywhere. There’s no place that you can be where God isn’t. It’s wide enough to be everywhere. It’s deep enough to handle everything. No problem, no pressure, no stress, no difficulty. You say, “I’m in the pits right now!” God’s love is there. There is no pit so deep that God’s love is not deeper still. Then it is high enough to overlook your mistakes. God loves to forgive. He loves to help you start over. While we were yet sinners. God doesn’t just love those who are trying hard to live right. God doesn’t just love those who are from a certain race. The Love of God is unable to be influenced. God loves you as a saint. Nothing you do can get God to love you any less. See we don’t have to wait till we are good enough to come to God….we can come as we are because God loves as much now as he can ever love us. I love it. What a short powerful verse that contains much rich revelation. I trust this blog post has been helpful. Please feel free to share it on Social Media and spread the message. I also encourage you to follow this blog so you can be kept updated on new posts. ‹ Falou’s Sacking Confirms Australia’s Strong Belief in Hell.